Learn how we helped a Brisbane graphic design EXPLODE her business. No tricks. No black hat nonsense. No extortionate fees and dodgy contracts. 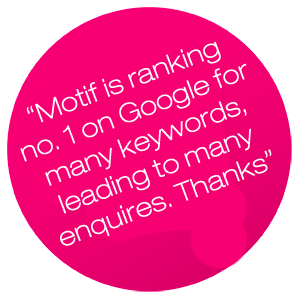 We use Google’s best practices to create amazing results. Do Rebecca’s struggles sound familiar? Took Motif to the “next level” – and she’s never looked back! Download Rebecca’s case study now.